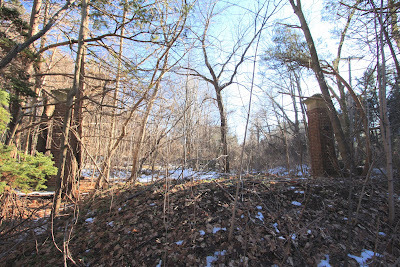 At the intersection of Chicken Valley Road and Oyster Bay Road, just beyond the tree line, sits the original entrance to 'Farnsworth', the C.K.G. 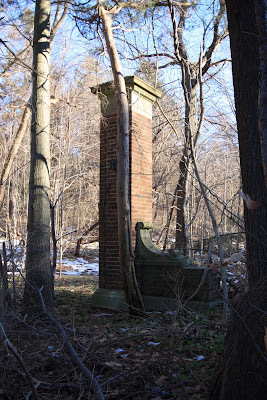 Billings estate in Matinecock. Designed by Guy Lowell c. 1914 with landscaping by A. Robeson Sargent, the house is no longer standing though the garages and stables are a private residence. Click HERE to see the entrance on google earth. Click below to see 'Farnsworth' intact and still standing in a 1966 aerial shot. This breaks my heart a little.